The NoteWorthy band offers a wide range of live band 1960s music. Click Here to view the band performing “The Locomotion” by Little Eva, released 1962. Click Here to view the band performing “From me to you” by the Beatles, released 1964. Click Here to view the band performing “Be my baby” by the Ronettes, released 1964. Click Here to view the band performing “I’m a believer” by the Monkees, released 1966. Click Here to view the band performing “Build me up buttercup” by the Foundations, released 1968. In North America and Europe the decade was particularly revolutionary in terms of popular music, as it saw the evolution of rock. At the beginning of the 1960s, pop and rock and roll trends of the 1950s continued; nevertheless, the rock and roll of the decade before started to merge into a more international, eclectic variant known as rock. 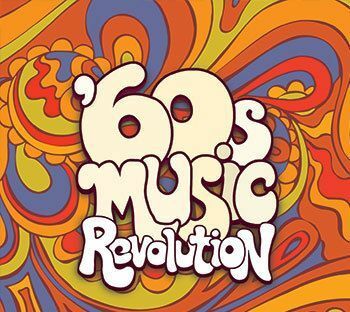 In the early-1960s, rock and roll in its purest form was gradually overtaken by pop rock, beat, psychedelic rock, blues rock, and folk rock, which had grown in popularity. The country- and folk-influenced style associated with the latter-half of 1960s rock music spawned a generation of popular singer-songwriters who wrote and performed their own work. Towards the decade’s end, genres such as Baroque pop, sunshine pop, bubblegum pop, and progressive rock started to grow popular, with the latter two finding greater success in the following decade. Furthermore, the 1960s saw funk and soul music rising in popularity; rhythm and blues in general remained popular, and this style was commonly associated with Girl groups of the time, whose fusion of R&B and Gospel with rock and roll enjoyed success until the mid-part of the decade. Aside from the popularity of rock and R&B music in the 1960s. The band is often asked to perform live music 1960s songs including: Heard it through the grape vine, I can’t get no Satisfaction, I want to hold your hand, I’m a believer, Sittin’ on the dock of the bay, Bad moon rising, Be my baby, White Rabbit, Honky Tonk Women, etc. Click Here to view additional songs.